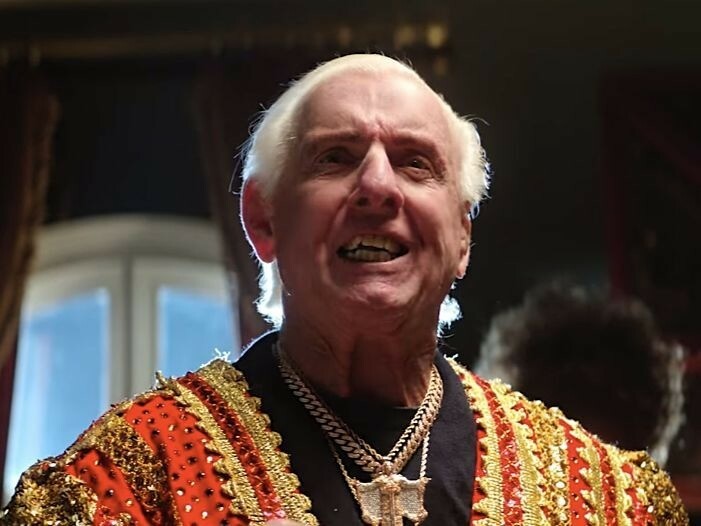 Rosemary Beach, FL – Former WWE wrestler Ric Flair apparently loved being a part of Offset, 21 Savage and Metro Boomin’s “Ric Flair Drip” video so much that he used the song to walk down the aisle for the fifth time. Flair’s wedding to longtime fiancée Wendy Barlow took place in Rosemary Beach, Florida on Wednesday (September 12). As the crowd waited for the ceremony to begin, “Ric Flair Drip” starts blasting from the speakers. Flair saunters down the aisle dressed in head-to-toe white as the crowd cheers. Flair was recruited for the “Ric Flair Drip” video earlier this year. In April, the wrestling legend joined Offset, 21 and Metro Boomin for a live rendition of the song for an episode of The Tonight Show Starring Jimmy Fallon! The track comes from Offset, Metro Boomin and 21 Savage’s joint project, Without Warning, which dropped last October. Check out more photos from Flair’s wedding below and revisit the “Ric Flair Drip” video up top.